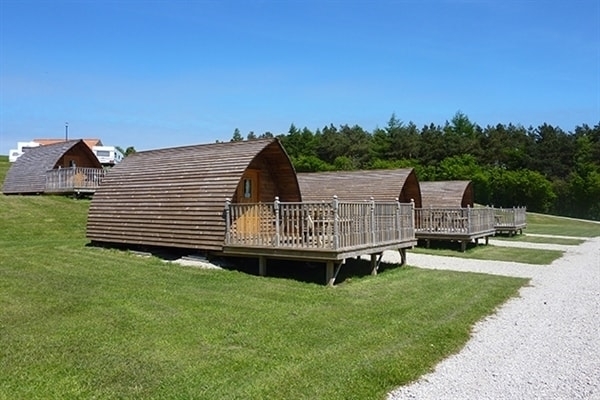 Wigwam® Cabins At Grouse Hill Camping & Caravan Park, perfect for a self-catering holiday in the great outdoors. 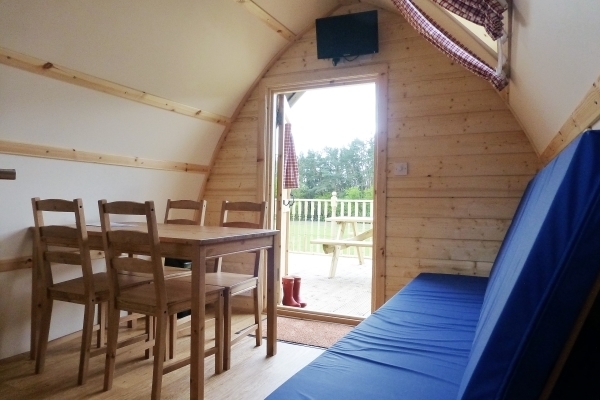 We have four comfortable en-suite Running Water Wigwam® Cabins, all including a TV, toilet, wash basin, kitchen sink, table and four chairs, heater, fridge, microwave, kettle, toaster, bed/mattress, decking area with picnic bench. The Running Water cabins sleep up to a family of four in two comfy double beds (mattresses provided). 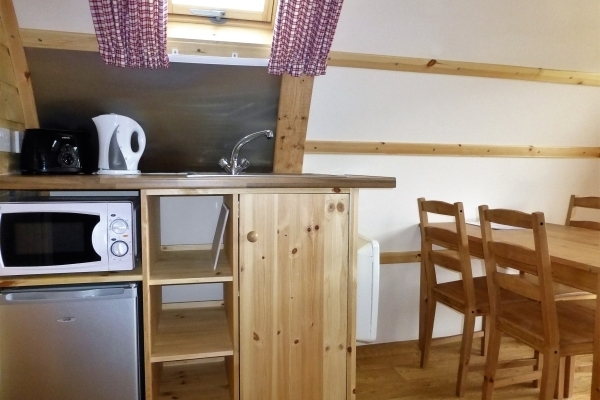 We now have eight spacious Big Chief Wigwam® Cabins, all provided with a fridge, microwave, kettle, toaster, heater, picnic bench, seating and bed/mattress. The central sleeping platform is easily dismantled, giving a roomy, light and versatile interior for daytime use. These cabins sleep up to a family of five. Please note, Big Chief Wigwam® Cabins are spacious and we have excellent toilet and shower facilities onsite. 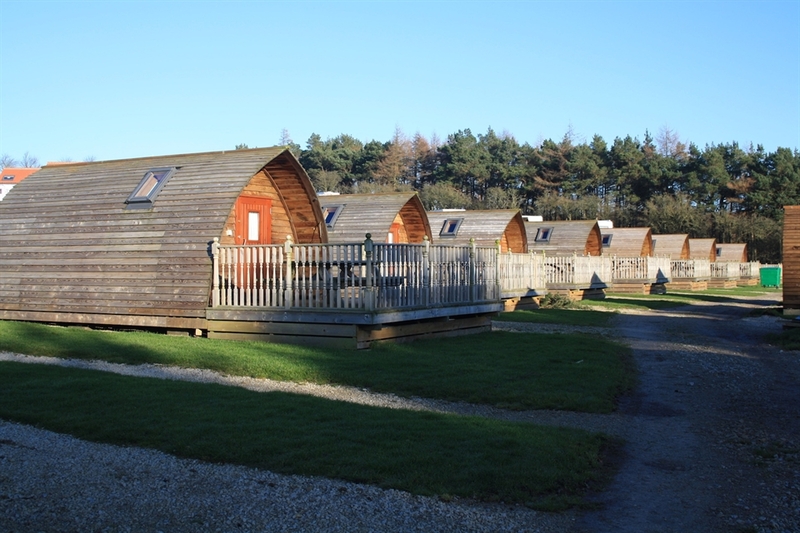 Our Wigwam® Cabins are a glamper's dream, situated on the peaceful south facing edge of the North York Moors National Park with fantastic views of the rolling hills, moorland and a backdrop of 23 acres of woodland just waiting to be explored. 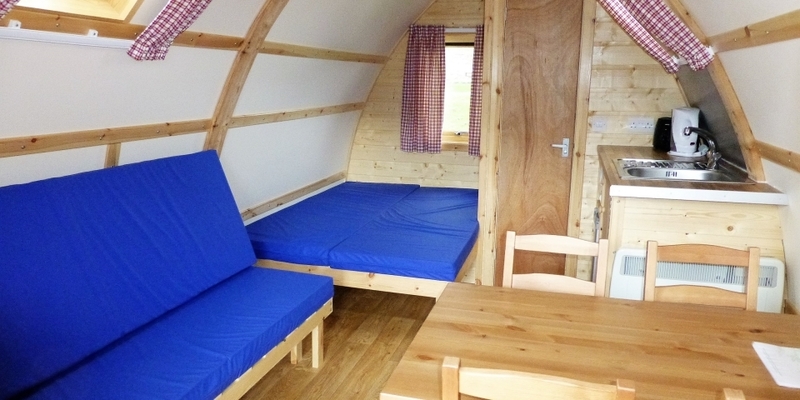 Our Wigwam® Cabins are heated and insulated, with secure lockable doors and Velux® windows, giving you a fun and comfy alternative to sleeping under canvas. You have complete peace of mind knowing there will be no broken/forgotten tent poles or pegs! Firepits are permitted on the gravelled areas adjacent to the Wigwam® Cabins. Firepits are NOT permitted on the timber decking area of the cabins due to Health and Safety reasons. Dogs are permitted by prior arrangement, pooch tariff applies. Before confirming your booking at Grouse Hill Wigwam® Holidays site, please take the time to read the information below. It includes vital information regarding cancellation policies and the amenities and services available at the site, which will assist you with planning your holiday. In the event of cancellations or no-shows we do not offer any (either full or partial) refund. However, if more than 48 hours notice is given, we may, at our discretion, offer an alternative date suitable to you only if we have the availability to do so. For details of our check-in/check-out times please contact us directly. Check in from 3.30pm on day of arrival. 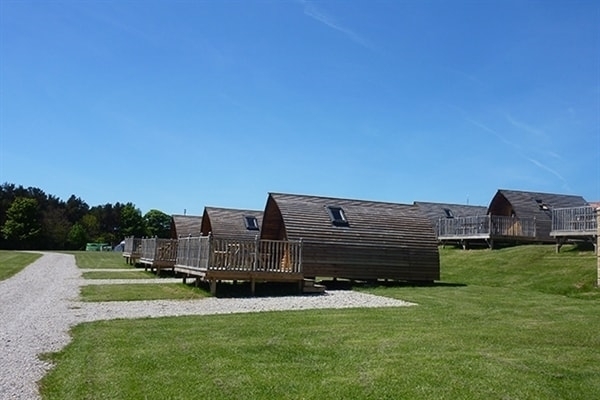 We expect all our visitors to respect and look after the site and the Wigwam® you are staying in. We also require you to respect your fellow visitors and keep noise levels to a minimum after 10pm. Parents are responsible for their children, as such children must be supervised at all times. NO BALL Games on the grass area in front of the Wigwam® Cabins. Please use the play field at the top of the site. If you have any other queries regarding your stay please contact Grouse Hill directly on 01947 880543 or info@grousehill.co.uk.